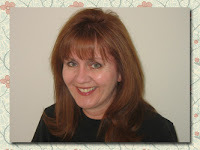 Today I'm pleased to welcome Kim Baccellia to A Fanatic's Book Blog! She is stopping by as part of her Crossed Out Blog Tour with a guest post for all you lovely readers. Aren't you lucky? I think so! Without further ado, I'll let Kim take the stage. Casting a spell over someone is nothing new. There’s tons of examples in both novels and movies. Some symptoms of being under a spell include--irrational thinking, getting very sweaty, urgent need to be close to a person 24/7, rapid heartbeat, and obsessive thinking. The person under the spell will do things that will drive those around them crazy. No matter what you say to him or her, nothing matters. The other important thing is following that urge and desire. Even if the consequences are disastrous. Poor Xander, after being turned down by mean girl Cordelia, he decides to make a spell for her to fall in love with him. Instead all the girls, including a counselor, are crazy about him to the point of almost wanting to do him in! In season seven, Buffy falls under the spell of a football player at sister Dawn’s high school. Problem is so does everyone else. I loved how Whedon shows Buffy trying to fight these irrational feelings, knowing they are wrong, but still going back to him. Alex Russo has used her magic more than once to cast love spells. Once she tries to get love interest Brad to like her with a love potion, but she accidentally drinks both halves of the potion. She ends up falling in love with herself. Another time she puts a spell on a male mannequin to get her ex-boyfriend jealous. The male mannequin falls in love with her and wants to stay human. A troll casts a spell causing Uther to fall in love with her. His son Arthur and others see this but Uther is blind to what’s going on. Who can forget the episode where a witch takes over Lana’s body, getting Clark to once more fall under her spell. This episode has to have the most sizzling chemistry ever. And finally we can’t forget Damon and his ability to charm the ladies just by looking into their eyes. In CROSSED OUT, Stephanie is attracted to Mark, the new guy at Sutter High. She can’t explain why she’s drawn to him, ignoring a still small voice that tells her he’s trouble. Crazy, huh? Read more of what happens when she follows Mark in my YA paranormal now available at Amazon. 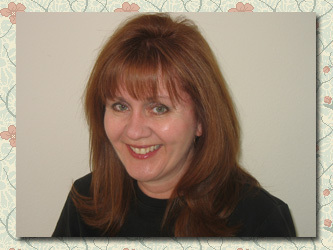 A member of SCBWI, Kim is currently writing the sequel to Crossed Out, her latest paranormal young adult fiction novel. She’s also putting the finishing touches on an upper MG fantasy No Goddesses Allowed. She lives in Southern California with her husband and son.